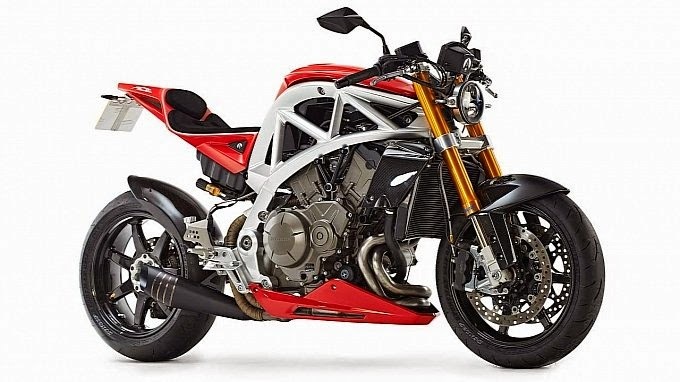 British manufacturer Ariel has pulled the covers off its first new motorcycle in more than 50 years. 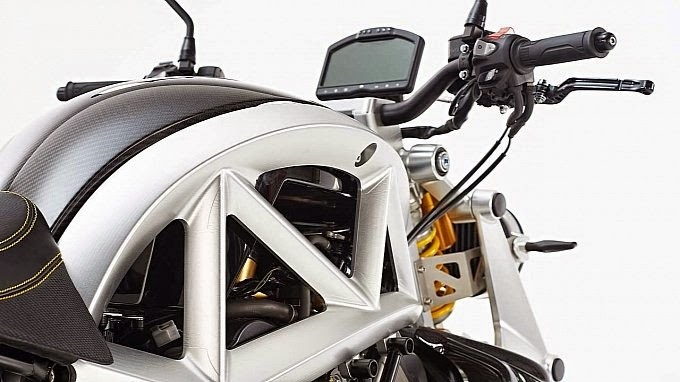 The new bike will be made in low volume by Ariel at their factory with roughly 100 – 150 motorcycles built per year alongside the Atom sports car. 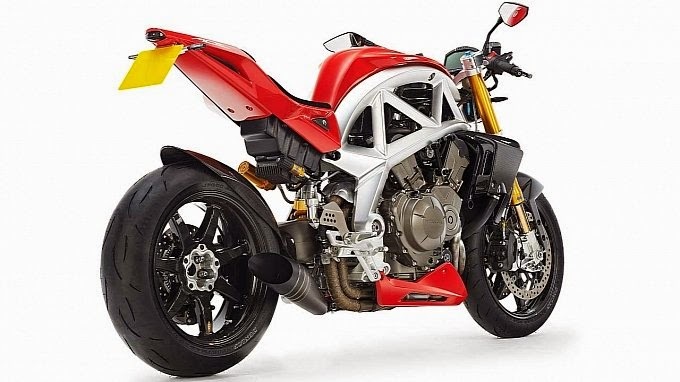 The Ace is powered by the 1237cc V4 engine from the Honda VFR1200, making 173hp at 10,000rpm and 131Nm of torque at 8,750rpm.The Ariel Ace bike will be priced from around £20,000, and will be manufactured in small numbers alongside the Atom sports car at the Ariel headquarters in Somerset. 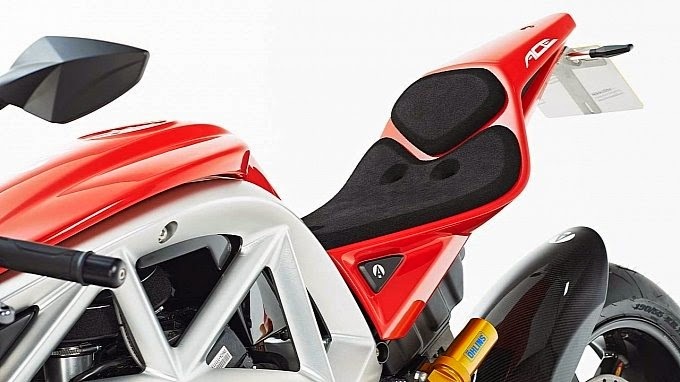 Each Ariel Ace will be made specifically to the individual rider’s requirements, and Ariel say there is a large number of customisable options, making each Ace 100% personal. Ariel’s roots can be traced back to 1870, when it used to make early Victorian bikes. The company prospered for almost a century, but folded in 1970. 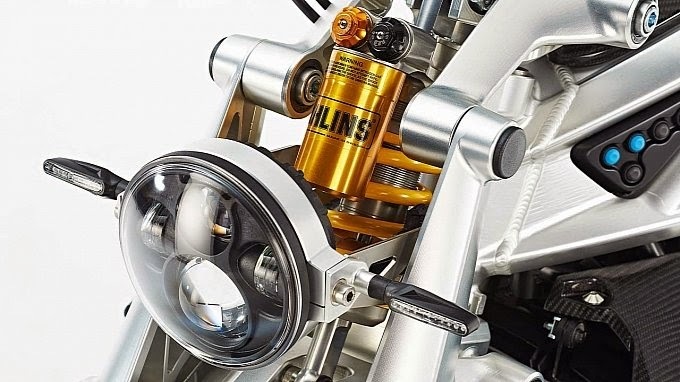 Biking enthusiast Simon Saunders started Ariel Motor Company in 1999 and began building the Atom, which has much in common with its two-wheeled ancestors. 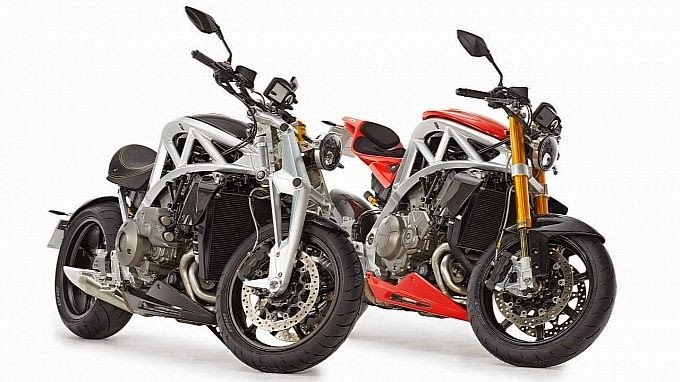 Back in 1895, Ariel started a relationship with tyre manufacturer Dunlop and it’s been rekindled with the new Ariel Ace; customers can choose their pick of a number of Dunlop tyre options. Owners will be able to choose from variations such as front and rear suspensions, handlebars, bodywork, size of fuel tank and even exhausts. 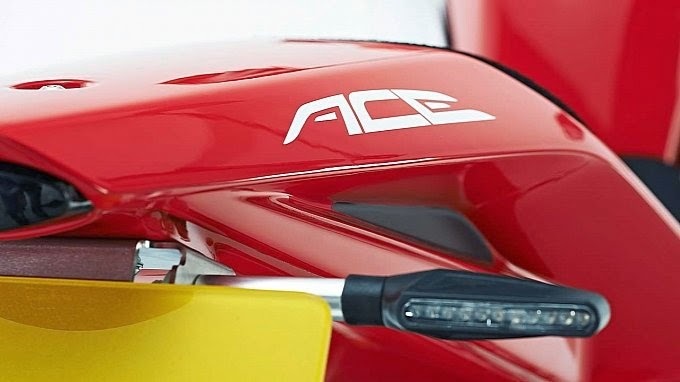 The choice of wheels includes a lightweight carbonfibre and aluminium option made specifically for the Ace. Colours, materials and finishes on the bike will also be tailor made. Building on a system used with the Atom, the Ariel Ace can be upgraded over time at the factory. 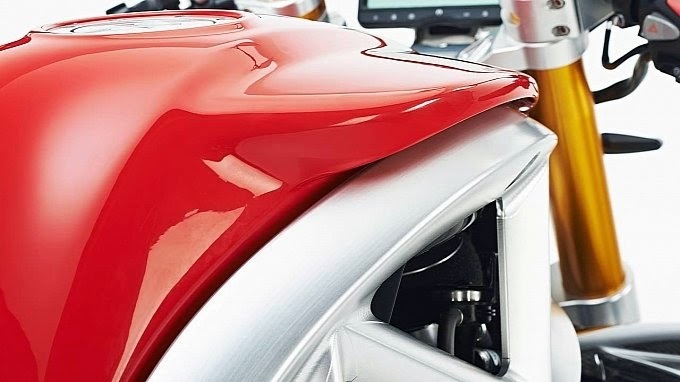 This is a system that Ariel claims has seen much success with the Atom, with owners choosing to retain their vehicles and upgrade instead of possibly buying into the opposition.